“Scotland’s Hydro Nation initiative represents one of the first examples of the incorporation of the notion of ‘value’ of water resources into legislation. 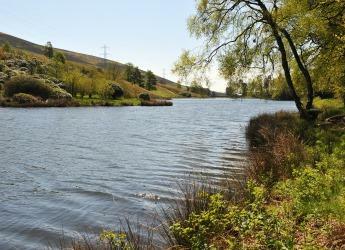 Research by the James Hutton Institute and the Centre of Expertise for Waters (CREW) relating to the role of ecosystem services in meeting Scotland’s Hydro Nation Challenge has been featured in a new book edited by Arup Group, a multinational professional services firm specialising in all aspects of the built environment. The book, titled “Out of the blue, new thinking on water, social and natural capital” includes a chapter on Scotland as a Hydro Nation, discussing issues such as how to accurately assess and ‘use’ the value of water ecosystem services, as well as the implications for the Scottish water industry. The book is available from Arup’s publications website. To learn more about research at the James Hutton Institute on water ecosystem services, please visit our Water Ecosystem Services page.